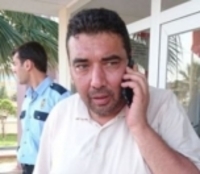 Former Editor-In-Chief of the daily newspaper Yurt, Hakan Gülseven, who was arrested because of the compensation penalties that he did not pay, was released on December 22 after Durdu Özbolat, the owner of the newspaper, paid the penalties. Gülseven was arrested on December 20 in the Kadıköy district of İstanbul and was sent to the Maltepe Prison. After Gülseven's arrest, his attorney Onur Güneş said that he was sentenced to pay compensation for three different cases. He stated that total amount of the compensations are 31,500 Turkish Liras (~6,000 USD) and the duration of Gülseven's prison sentence was determined by dividing this number by 20. A day in prison would count as 20 liras of the fine. "My client Durdu Özbolat learned that there were cases filed against the former Editor-In-Chief of the Yurt newspaper Hakan Gülseven after the extremely saddening event of arrest. "Right after, the necessary payment was made by my client and legal correspondences for his release were started." "Hello friends, I have been released on the third night after one night in cell and one night in a 90-person temporary dormitory. But this does not mean the compensations ended. We will give detailed information later. Greetings and love to all the friend who showed solidarity."